I was very touched with his interest. And I stopped typing, pausing to think. “I keep writing about the object of my love, adoration and worship. I bring Him completely into my conversations with my readers. But I do the error of not introducing Him! Many do not require an introduction and still many do need one. 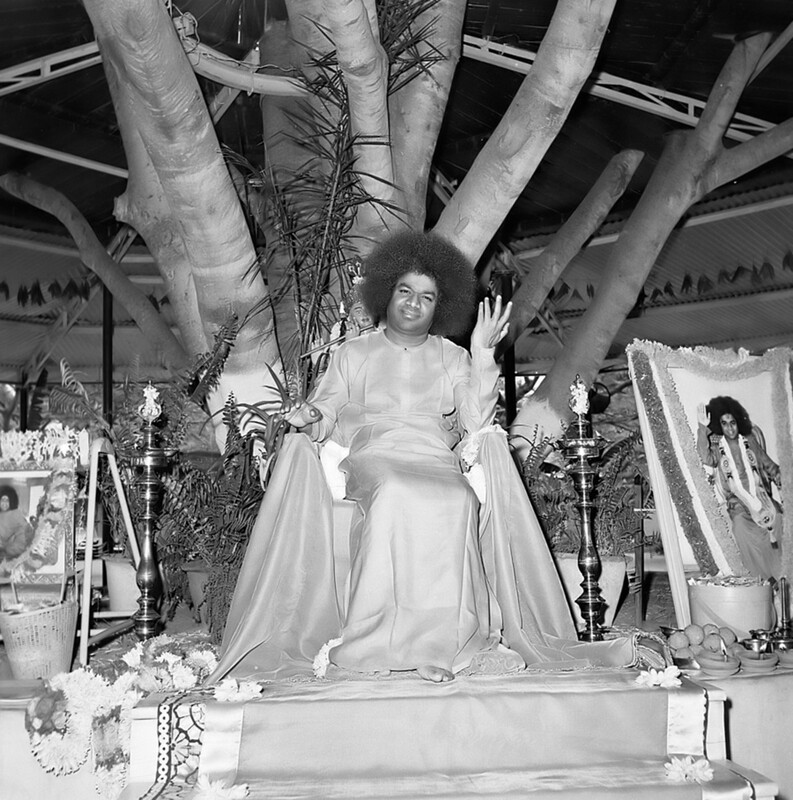 I must write about who Mr.Swami ( Bhagawan Sri Sathya Sai Baba) is.” And thus this venture. It is really so easy to say who He is - God. And yet so difficult, for the term “God” has different meanings for different people. Before I begin, let me tell the readers that due to a wealth of information that can be provided, I stick to a skeleton framework providing links wherever necessary. You can, of your own volition choose to dive to the depths you want! Happy diving and splashing! Now, let me begin. 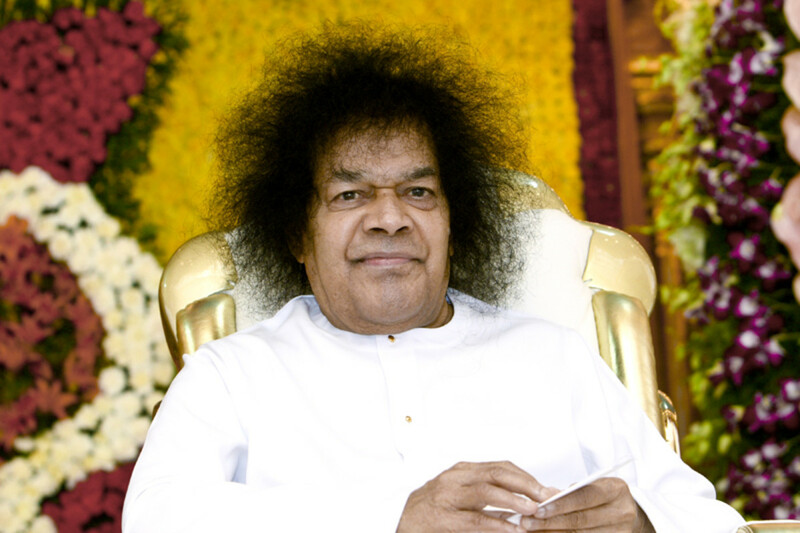 Sathya Sai Baba was born as Sathyanarayana Raju as the eighth child in a poor family in the village of Puttaparthi, Andhra pradesh, India on the 23rd of November 1926. (He shed the mortal coil on the 24th of April, 2011.) His early life was one that was filled with miracles and experiences galore. In the 86 years on earth, what He has achieved is monumental to say the least, Divine to say the Truth. And as I start to write about Him, I witness two voices within me. Both want to be heard. And I shall give them both an opportunity. The first voice is that of the head and the second is that of the heart. Over to the head now. Swami believes in the unity of all religions. He says that He has come not to start a new religion but to make a Hindu a better Hindu, a Muslim a better Muslim, a Christian a better Christian and so on. He says that there is only one caste, the caste of humanity; only one religion, the religion of Love; only one language, the language of the heart and only one God though God responds to whatever name you call or form you ascribe. He says that the summation of all the scriptures is contained in the phrases, “Love All, Serve All” and “Help ever, Hurt never”. And so, He exhorts one and all to serve for service to man is service to God. In accordance with these, He has pioneered some breathtaking service projects. 1) Starting small with a free general hospital, Swami has started two general hospitals and two super speciality hospitals which are absolutely free. The super specialty hospitals in Puttaparthi and Bangalore provide tertiary care to one and all - absolutely free of cost! And the response, especially from the poorest sections that earn less than a dollar a day has been one of unimaginable gratitude. This has inspired medical service activities in over 120 countries of the world and healthcare is being provided to millions around the world. Some of the most amazing service has been carried out in the poor African continent! It has brought light to the dark continent! But as I said, this is only a drop in the ocean. There is magnificent service going on in all countries. I have personally witnessed some, like this mind-blowing and heart-touching one in Trinidad and Tobago. 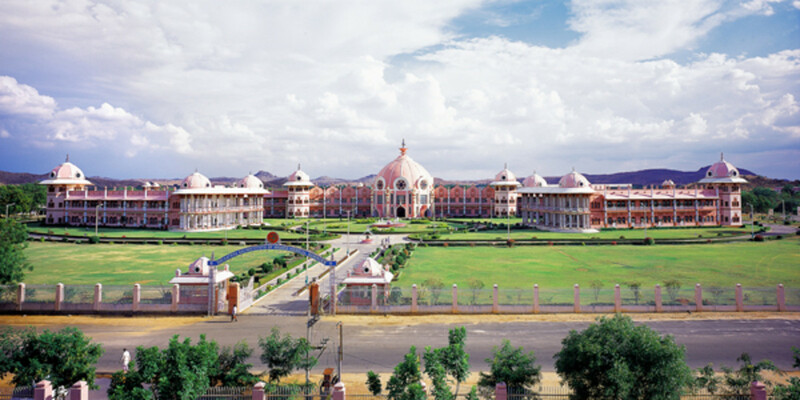 The various temples of Education that He has started have inspired many others to do the same in His name and with His principles. 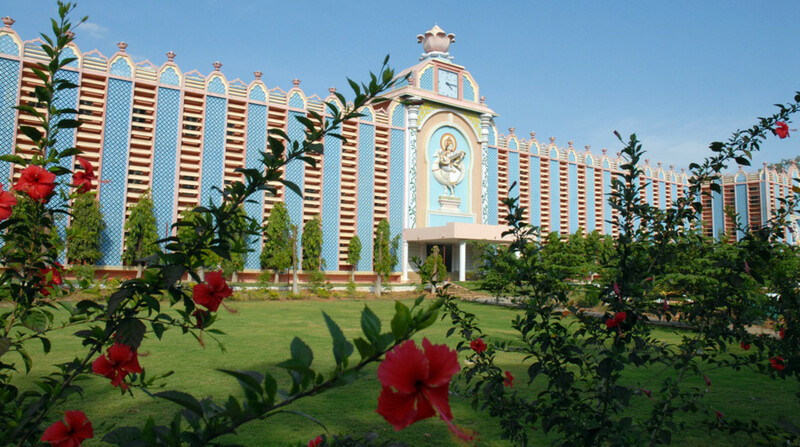 A primary and higher secondary school also have begun at Puttaparthi. But that is not all! There are many more and I feel a sample should suffice. 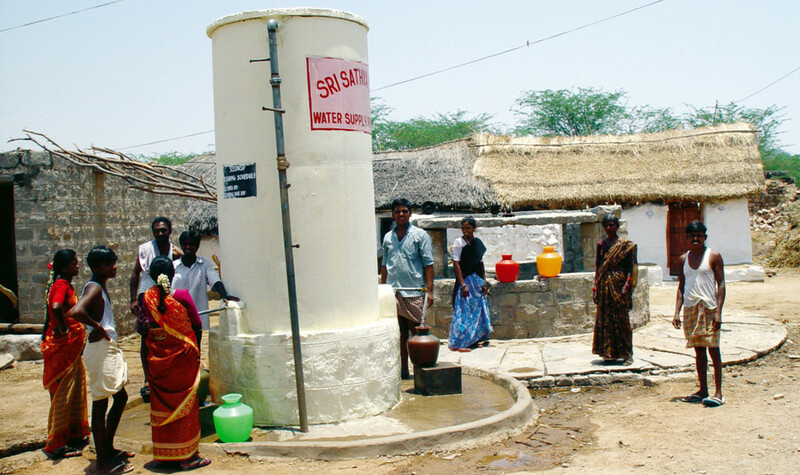 3) India is a huge country with many places lacking access to good drinking water. 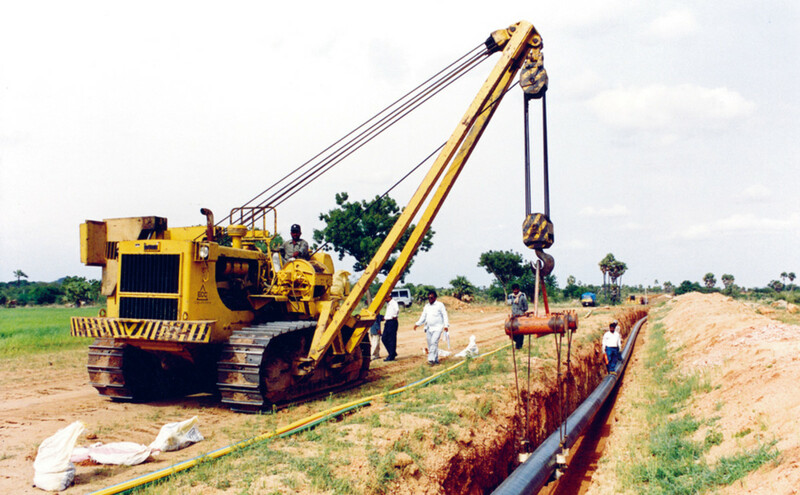 Swami built massive water projects to provide safe drinking water to over 700 villages in Anantapur district in Andhra Pradesh, spending about 300 crores Indian rupees to millions of people in Medak & Mahboobnagar, to millions in the E and W Godavari districts. and drinking water to the entire city of Chennai in India for which all the citizens and politicians came forward to express gratitude to Swami. Water flowing out of the Kandaleru reservoir towards the city of Chennai. 4) Service to the villages in making them self sustaining and happy has been another major effort from Swami. As in the other projects, starting small, He has achieved tremendous results. Among the hundreds of success stories, a sample would suffice to understand this. 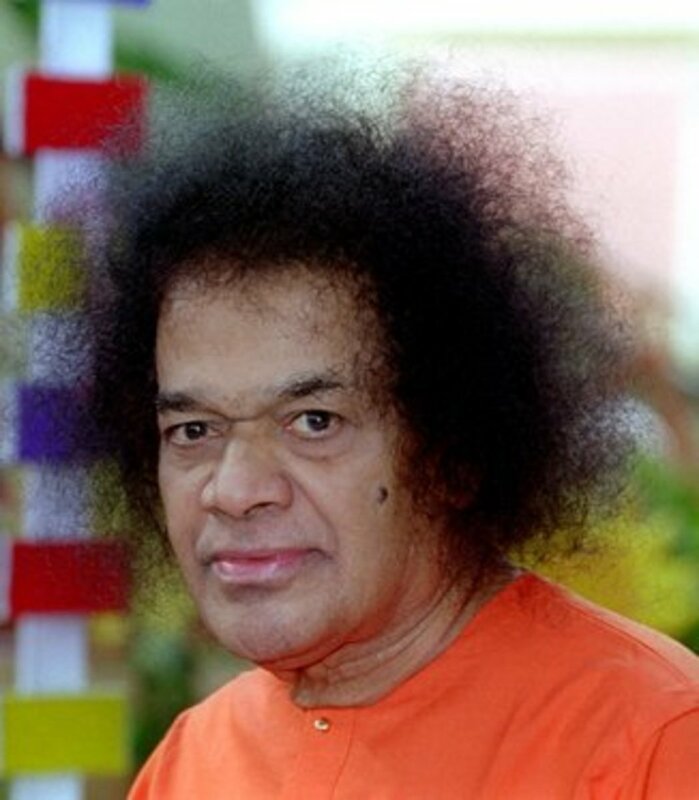 Talking of Sathya Sai Baba as a great humanitarian is like calling Lord Krishna a cowherd, Lord Jesus a Shepherd, the Buddha a prince and Prophet Muhammad a trader! Of course, He is a humanitarian, but He is much more. I saw Him perform miracles - heal cancer, tuberculosis and blindness with a mere glance or a touch; create objects from thin air and heard about how He brought the dead back to life. But as I pondered on all these, I heard Him say that His greatest miracle was Love and that if one imbibed pure selfless love, anyone can do these so called miracles. And he said that truly everyone is nothing but love. Whenever He speaks, He addresses all as the embodiments of Love! I stayed with Him and saw Him daily. Its more than a decade now and I cross my heart and say that He is my best friend who has showered on me the love of a mother, father and teacher, all rolled into one. He taught me that the individual is a part of society. Society is a part of nature and nature is the part of God! So if one claims to love God then one must love one’s fellow beings, serve the society and preserve nature. Reading what Swami has said about Himself tells us a lot about who He is. Whenever I felt alone and lost, He came to me, not only physically but even metaphysically too! I have seen so many coincidences in my life and I know that a coincidence is also a miracle; just that God chose to remain anonymous! He found for me the love of my life and He has made me love life to the fullest. He taught me that Joy and Bliss is the nature of every soul and so we must be happy always. He made me realize that whatever is happening to me is for my good alone and therefore there is never the need for me to be sad. He has filled my life with love and taught me that everything I encounter in life is nothing but a reaction, reflection and resound of me. He has taught me to love me and therefore the whole world along with that! He is my world, nay my Universe. He embodies the most powerful force ever - that of Love - and so He is the most powerful. If you call that God, yes, He is my God! How much ever I write on what He means to me, I shall never be satisfied for how can paltry words ever substitute an experience? But yet, like the salt doll that went to measure the depths of the ocean, I try to describe who He is with the hope that like that salt doll, I too shall dissolve in Him. Millions are the ones who have experienced Him. And a few eminent people described Him variously. That should be an inspiring read in itself!